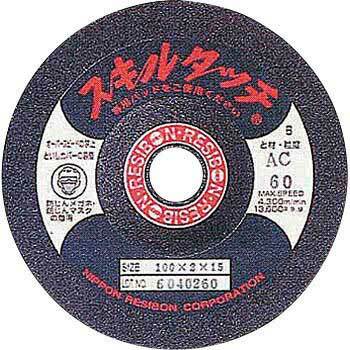 I think that a flexible disk fits well with the material and it can be polished to a very good condition. This review is about item#65871812. I have let you love repeat for many years, it is stable quality. This review is about item#6183974. I think that feeling of use such as size is exactly good. It is easy to use. This review is about item#58115407. Delivery is quick and very helpful. Since I always have coupons after placing an order, I hope that coupons will come at a little earlier timing. This review is about item#6183992. Skill touch to a nearby home center Especially, I am saved because I do not sell items with the highest count. This review is about item#6184026. It is inexpensive and the quality is also good, I will purchase it next time as a repeat item. I am using it for finishing the welded part. You can cut it well. It decreases often. There is no choice because there are no abrasive wheels that can not be reduced well. This review is about item#6183956. This review is about item#32637735. This review is about item#06183956. If it is an ordinary grinding stone it will return but when I do it with a skull touch, there is little return. This review is about item#06183974.